Send me your email address - I will send you the script! YES! Send me the script! 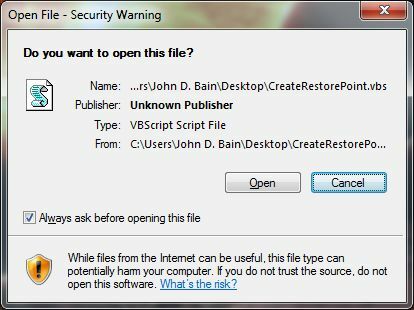 I use Windows built in System Restore feature to prepare for unexpected disasters! 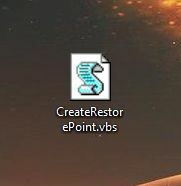 I often set System Restore points so that if my computer is infected with viruses or develops a software problem or glitch. When the problem crops up - I simply restore my computer state to one previously marked. It's like magic!